Laudetur Iesus Christus! We have several updates to share with you in this 3rd week of Advent. We have now entered into the 3rd week of advent, and it is also Ember Week, the quarterly time of year where Wednesday, Friday and Saturdays are penitential days where the Church has traditionally focused on contemplating the glory of God’s creation. We faithful are also encouraged to pray for the sanctification of our souls for the upcoming natural season. To learn more about the Ember Days, please visit: http://www.fisheaters.com/emberdays.html. Gratefully, St. Ann’s will offer Ember Day Masses on Wednesday and Friday at normal times (and Saturday – but see below). It’s the last Sunday before Christmas, and the CLMC will again set up a “Blessings table” where you can have any religious items/gifts blessed by Father (thank you!). After 12:30pm Mass this Sunday December 18th , Father will immediately bless (in the traditional rite) any religious items you have. This includes: pictures, rosaries, statues, candles, salt, water (to be Holy Water), wine, medals, oils, etc. We will have the table set up by 12pm before Mass begins. 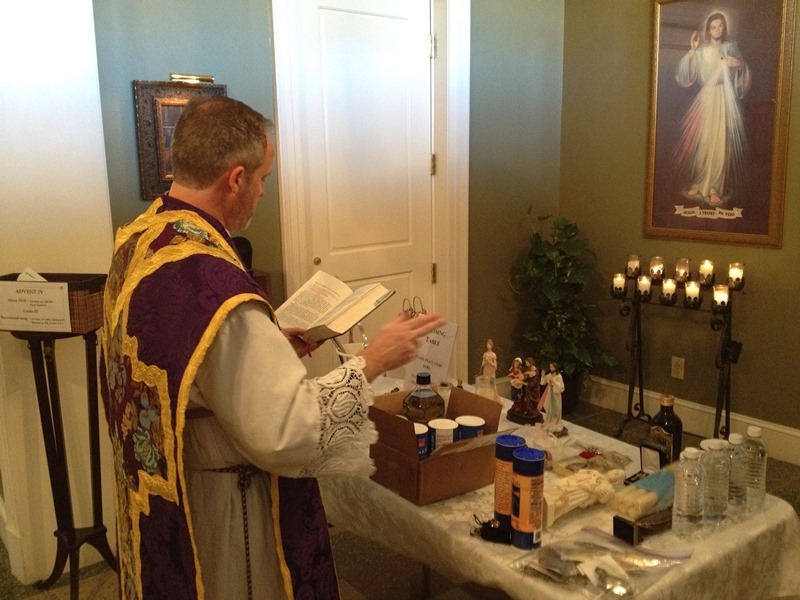 Anyone wanting items to be blessed must place them on or below the table PRIOR TO MASS (no exceptions).